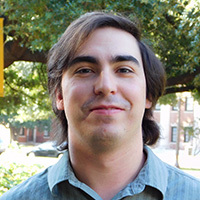 Nathan entered Baylor's Ph.D. program in the fall of 2013 after graduating from Hillsdale College with a Bachelor of Arts in Political Economy and Philosophy & Religion in 2011. His primary research interests include international relations, continental political thought, Marxism, and the Cold War. Nathan was nominated for Baylor’s “Outstanding Graduate Student Instructor Award” for the Fall 2016 semester. In Spring 2017, he served as the Graduate Assistant for the Baylor in Maastricht program, leading students in their study abroad experience while teaching and conducting research for his dissertation. His dissertation, “Raymond Aron and his Dialogues in an Age of Ideologies,” examines the thought and rhetoric of the oft-overlooked Raymond Aron by exploring his conversations on politics with several of his more well-known interlocutors, including Jean-Paul Sartre, Albert Camus, Hans Morgenthau, Friedrich Hayek, and Charles de Gaulle. Each chapter finds Aron at odds with one of his contemporaries on a particular matter of policy in order to reveal the prudence of Aron’s politics of understanding as well as the emphasis he places on and virtue he demonstrates in public discourse. Through his dialogues, Aron shows us not only how to think politically but also how to engage in constructive public debate.